The Taliban have done it again. They have been attacking military forces posted in rural areas of Afghanistan, in the past few months. 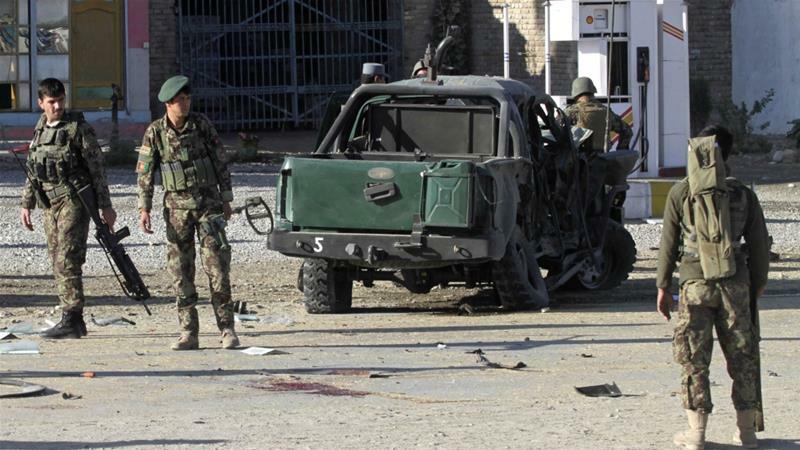 On Saturday, a military base in Afghanistan’s northern Baghlan province was targeted, and 12 soldiers were killed. Moreover, 2 soldiers were kidnapped and 3 were left injured. Later, several explosives planted by the Taliban in the base killed 4 senior tribes who had come to collect the dead bodies of the slain soldiers. Recently, the Taliban has intensified its attacks on Afghan Security forces and Government buildings. This has resulted in a decreased density of soldiers across the nation. The latest era of the war in Afghanistan began in started in 2001 when the Taliban government was overthrown following 9/11 attacks in the US. As the Government of Afghanistan tries hard to regain control over the regions which have been overtaken by the Taliban, the number of security personnel casualties are near record levels. The government controls only 65% of the population, and around 55% of the districts, as per a report from the Special Inspector General for Afghanistan Reconstruction. The Taliban is relentless in its commitment to carry out the most egregious acts of terrorism in Afghanistan. Due to incomplete information, the Taliban are capable of successfully carrying out attacks on soldiers at their camps. Lack of renewed objectives of the militants, lets them carry out attacks on innocent first responders and sympathizers in follow-up attacks, for weeks and months, before the security forces are able to devise a strategy. These horrible acts are being committed despite the UNAMA’s repeated warnings to warring parties to uphold their obligations to respect the international humanitarian law and to cease the targeting of civilians. It is challenging to identify terrorists before they strike. The Taliban, since 1994 has continued to wreak havoc across Afghanistan. In 1998 they had control of about 90% of Afghanistan. It is alleged that the Russian Government has played a part in arming the Taliban with improved weaponry, including sniper rifles, AK variants, and machine guns. The spread and speed of the terrorists are difficult to gauge. It is known that there are around 45,000 terrorists enlisted in the Taliban, one can never be sure about how many there are in sleeper cells, and their locations. Most of the times, the security forces encounter foot soldiers. But it is the masterminds, which need to be brought to justice to end this terror network once and for all. The general public in Afghanistan and other countries is aware of the menace of terrorism. But we all agree, that only the ones involved in it have been exposed to training, propaganda, brainwashing, etc. There now exists a way to find out whether a person possesses such dangerous information. There is a scientific method to differentiate between those who are aware of the events (the general public) and those who have orchestrated or witnessed the events. This is possible by use of iCognative technology by Brainwave Science. iCognative is not only more than 99% accurate but also eliminates human suffering and torture during interrogation. In any crime or terrorist act, the brain of the perpetrator is always there — planning, executing, and recording the crime. There may or may not be other kinds of evidence. iCognative technology can identify the perpetrators and planners of terrorist acts by detecting the record stored in the brain. In addition, it could be used to identify trained terrorists. iCognative is applicable in more than 85% civil and criminal cases. It is the key to questioning terror suspects, informants, locals in a humane yet effective manner. Never has an interrogation method been devised, which is objective and does not get influenced by the opinions of the person conducting the test. There is no communication between the test administrator and the testee during the test, and there is no need for the subject to respond to a verbal stimulus. iCognative has multiple applications. Not only does it help link the suspect to the terror incident, it can also uncover if a person has specific knowledge of making bombs, of specific events, places, other terrorists, and most importantly of terror kingpins. A quick test can help differentiate between the terrorist, their supporters and the innocents. All this is done by determining whether the testee is aware of relevant information or not. iCognative is a non-invasive technique and a typical test takes around 45 minutes to complete. During a test, multiple words, phrases or pictures are flashed on a monitor for the suspect to observe. If the testee is aware of these, their brain cannot lie and emits a response which the iCognative hardware is able to sense. Not even a month ago, in a similar attack General Abdul Raziq, one of Afghanistan’s most powerful security officials was killed and a Taliban claimed responsibility for the attack. At that time Taliban declared that their prime targets were Abdul Raziq, a brutal police chief, and US General Scott Miller. Security Forces in Afghanistan can use iCognative to not only find out if a testee has knowledge related to terror, but also to uncover persons of high-value, and eventually reverse engineer terror networks. This revolutionary iCognative technology by Brainwave Science is the key to curbing the terror menace in Afghanistan and throughout the world.